Why I'm Still Not Ready To Use A Smartphone! I may not be able to give you enough convincing reasons, but here is a fact. 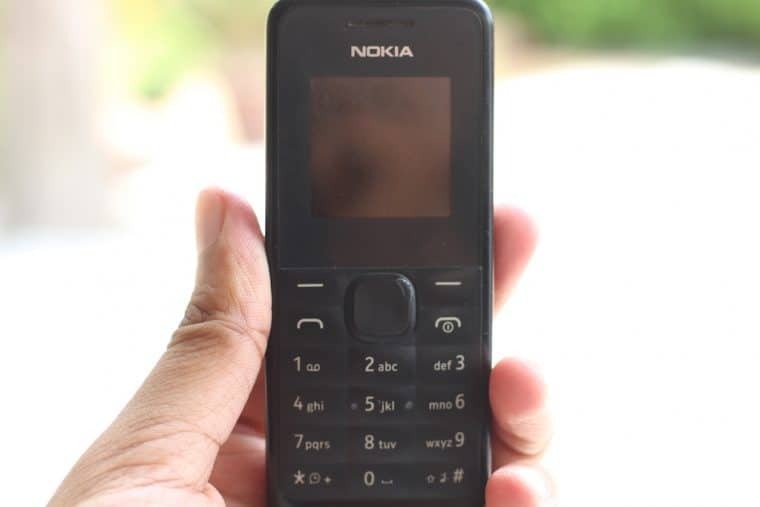 I’m still in love with my Nokia 105 mobile phone. Yes, it’s not a smartphone. It’s still from the age of Nokia, and the only highlights of the phone are a Torch, and FM Radio. Being a tech geek, I’ve been reviewing smartphones and tablets for about three years but have rarely used a one for my personal use. During this period, I’ve tested out flagships, iPhones, Nexus, and a bunch of other names, but have always managed to find a flaw that was enough to keep me away from using them. Or maybe I wasn’t ready to give up my personal time to stupid addictive games or apps which claim to increase productivity. Reasons why I’m still stuck with a feature phone! The very first reason and probably the one in the top of my head is the Battery Life. Even in 2016, the advancement in the battery technology are slow, and the only new term we have is this Fast Charging. Thankfully, a modern smartphone is capable of lasting, at least, a day. But, again, the end results and the satisfaction is nowhere close to my comfort zone. 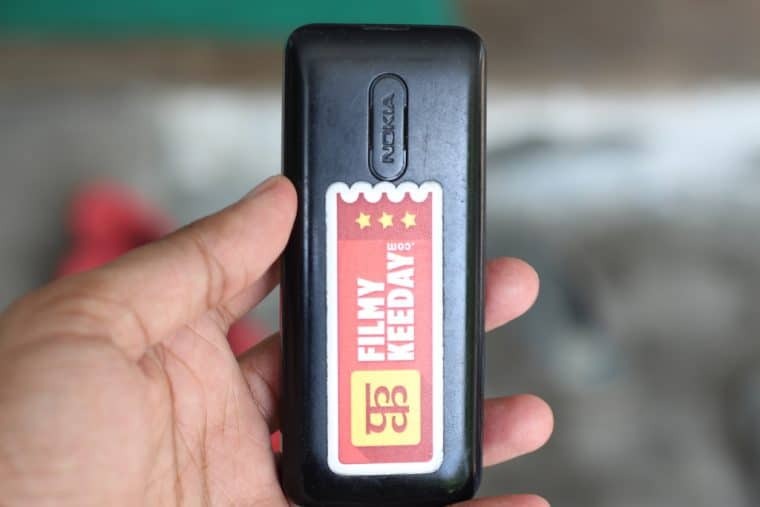 Nokia 105, and any other phone of its breed and age can easily last 2-3 days on a single charge. I don’t do a lot of long calls, but even if I had to, it always managed to last, at least, 4-6 hours straight. On standby, it can stay alive for a week, and on my average usage, it can easily get me through 3-4 working days. With my usual phone calls and texts. Yes, I still text people, although they don’t reply me much! So far, I’ve never found a smartphone that can give me such performance in the battery department, or even a close one. I know I could have bought a smartphone and carried another bulk, better known as Power Bank, but that’s not the case with me. I’ve two reasons here to justify my case. First, I always like to carry as light as I can. And, second, that Power Bank itself requires being charged. Now, let’s just keep aside the battery part, as we both know it was never a comparison. Let’s talk about the build. First, let’s be clear of one thing, it’s not the case that I can’t afford a smartphone. I could have easily bought a high-end iPhone, considering it’s the pricier one. But, I have few other factors in mind here. Hear me out! Once I pay for a smartphone, either for a high-end one or for an affordable one, I’m expecting it to run through a period, at least, 2 years. The affordable Androids have rarely managed to pass the two years mark, while maintaining the same performance and security level. Even the flagships from Samsung and LG aren’t known to do that good after 1.5 years or 2. For me, paying for a phone every six months is a big investment. And, the second factor here, is the Maintenance. Primarily, touchscreen covers most of the part and it’s easily crackable. Thankfully, Corning’s tough glass solutions, better known as Gorilla Glass, have helped the touchscreen to stay intact after minor bumps. But they still fail to keep the unit from shattering after a hiccup. Now the repairing part is another investment, which is again, not cheap. So, in other words, we’re talking about thousands of investment every year in a device which keeps us entertained and connected to rest of the world. For me, the best source for entertainment is still a laptop or a desktop. Smartphones have really small display compared to the traditional machines, and their overuse has already been affecting our health, especially the eyes. I don’t want any other “cool” gadget to further ruin my health. Being a blogger, I spend half of my day, at least, in front of a system. That’s enough damage done to my eyes and overall health. Now, for whatever time I’m left with, I don’t want any other “cool” gadget to further ruin my health. In fact, the use of a normal phone helps me to keep my eyes healthy, as it never pings me to check stupid notifications or stare for any unproductive reason. Also, I’ve never been a fan of a Phablet sized phones. I’ve used a Nexus tablet in past, and I still believe that a tablet should be the final choice for our entertainment needs. Carrying a big phone around is straight out my comfort zone. But with the advancement of smartphones, manufacturers have neglected the consumers like me. Thankfully, Apple released an iPhone SE with a 4-inch display and modern hardware, but there is no other manufacturer in the competition anymore. I’m sure, I am not the only out there, looking for a compact phone with modern hardware, but now I do know that there is no Android OEM, considering us as a worthy consumer. The real reason behind this is that consumers are demanding big phablet sized phones and their dominance has taken over the compact ones. For general purposes, the Nokia 105 is capable of taking notes, reminders, and can function as an alarm clock. It even packs a couple of games, though I always missed the classic Snake or Bounce. In the month of Feb, I bought a smartphone and promised to use it as my primary device. I managed to keep it for two months, but later, ended up selling it, switching back to my comfort zone. During that period, I used that smartphone for almost same purposes, taking notes, reminders, alarm, and making phone calls and texting my friends. However, I did join the Instagram! I found the availability of the camera module helpful, as taking out my DSLR to take a shot, is not ideal in every condition. But with a camera in my phone, I felt a new sense inside. I started behaving like a reporter, taking quick pics and sharing with my network. However, for most of the times, I managed to keep this urge under control. In the age of social media, everyone has turned into a reporter. Sharing pictures of the incidents they see around. FYI, those incidents they report were always there, but not everyone had the means to share them, other than gossiping. The one who cared were termed as professional reporters, but now with a camera in hand of masses, they are wasting more time in doing things they are not meant to do. Or in productive words, not getting paid to do. Now, I can go on, but I guess you got the point here. The use of smartphone does affect the productivity, at least, in my case. And, I never liked that new urge inside me. I’ve picked the blogging as my career, and I like reporting technology related stuff. But, I’m still not ready to report everything I see unique or interesting or bad enough to get tons of likes and shares. During my last month travels, I explored over two thousands of KMs on my bike. No smartphone was used during that period, and for the love of photography, I was happy to carry my DSLR, as I always do. For connectivity purposes, I was always aware of the fact that my phone will never disappoint me. The only case where I felt the need of a smartphone was when I lost track or needed a confirmation of the route. But this gave me an opportunity to stop and talk to more new people, have a conversation about their place, and exchange a Smile. I also had few fellow travellers who had the GPS ready smartphone for further investigation, whenever needed. Personally, I’m still not convinced if I’ve given you enough reason to justify my use of Nokia 105 as a daily driver. I’m not yet aware if I’ve answered the prime question here, but I do hope that I’ve given you enough points to look at the other side of the coin. Sadly, my beloved phone has started misbehaving. It’s been three years and I’m still not finding any modern alternative to replace it with. The only option I’m left with is to buy a smartphone. Put up a big wide rectangle slab in my pocket and carry it around, while feeling uncomfortable due to its size in the pocket. I think my days of peaceful and comfortable life are about to over, and it’s time to catch one of these side effects of smartphone addiction. Like everyone, here are my requirements for a perfect smartphone. It should have a maximum screen size of 5-inch, the rear camera should have OIS, it should have one day of battery life with fast charging, and it should be running a stock OS, otherwise, iOS. FYI, I’ve done a thorough research, but couldn’t find any match!